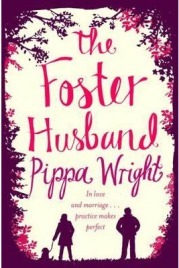 The Foster Husband is Pippa Wright’s third novel and the first one that I had read from her. It promised to be a light, easy read just perfect for long summer evenings. I did really enjoy it although the title is a bit misleading as the ‘foster husband’ in question does not feature as much as I was expecting. The Foster Husband tells the story of Kate who, after leaving her home time of Lyme Regis, gained a glamorous show biz career and a gorgeous husband. However, years later, she has returned to her home town with no husband and no job. She ends up living in her recently deceased grandmother’s bungalow trying to make some sense of what her life has become.